Having transitioned from self-employed vocal coach to multi-business owner, and surrounded by musicians and music teachers every day, I’ve noticed that perhaps some of my top tips might be useful to those I most admire and whom I want to succeed! 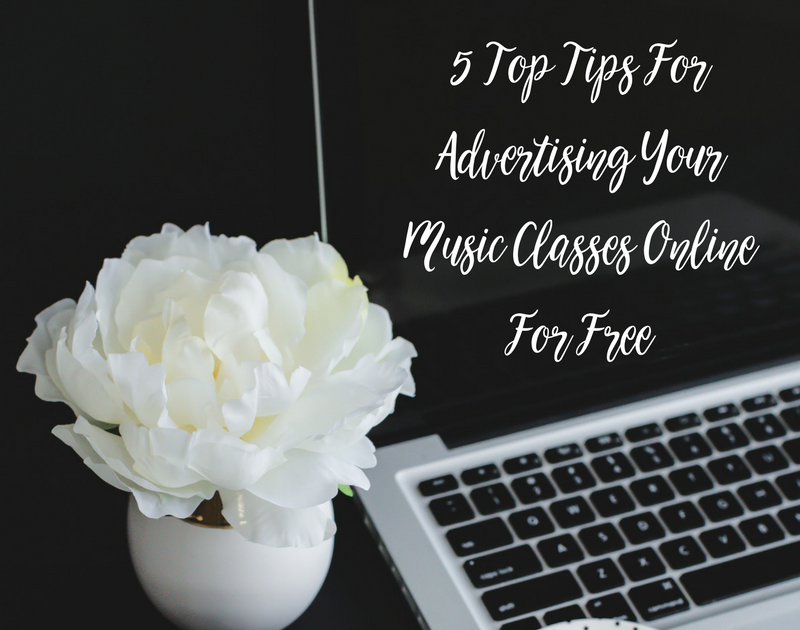 So, if you’re a musician and music teacher, read on to learn how best to promote yourself and attract new students. List yourself and your services on local online directories such as mumsnet.com (they have specific local listings), kidsorted.com, all4kidsuk.com, and more general local listings specific to your area such as lovecamden.org and allinlondon.co.uk. Another great place to list your services is on music teacher specific sites such as musicteachers.co.uk. TIP: Google ‘whats on in’ followed by your town or city name to find the best local websites for advertising your services. Most of these websites will offer a basic listing for free, and some offer premium paid listings for more exposure. Leverage Facebook groups to get your classes and offerings in front of your ideal clients. Think about which Facebook groups your ideal customer would be a part of and request to join those groups so you can post a link to your website and introduce yourself. Search in the Facebook search bar for things like ‘North London Parents’. From the search results, select the group tab at the top of the page. Facebook will then provide a list of all groups related to North London Parents and a ‘Join’ button. Some groups will require an administrator to approve your membership request before you can post to the wall. Others will accept the request automatically so you can make your introductions! Always be sure to read the group rules before posting, and where there are thousands of members, don’t be afraid to post every few days to keep your content towards the top of the group listings. Not every one is on Facebook all the time so not everyone will see your first post. TIP: Think outside the box when searching for groups… potential students won’t necessarily be active in the obvious music related groups so think about what other interests they might have. Make sure your website is updated regularly and includes the information your potential students will want to find such as prices, cancellation policy, your availbility, testimonials from other students, and most importantly, your contact details. Ensure your website is easy to navigate and doesn’t confuse the visitor. If prospective students can’t find what they’re looking for in the first 5 seconds, they WILL click off and visit the next website on the google rankings, i.e. your competitor! Look at your website with a critical eye and put yourself in the shoes of your student. Does your website showcase you in the best light and make for an enjoyable experience for your student? TIP: Make sure you include lots of keywords in the body of your text and be sure to have links to your professional social media profiles. Create a Google Business Listing to increase your Google rankings and increase your professional prescence on the net. Websites with a google maps link will appear in local searches above those without. Google tracks the location of its customers in order to provide the most relevant search results. Please don’t ever list your personal home address as your business location however. Use a studio address if you have one such as www.northlondonmusicacademy.com/studios. TIP: Populate your Google Business Listing with images, a bio, opening times for your ‘business’ (always open is a good idea), and encourage existing students to leave Google reviews in order to provide social proof for potential students. This will increase your conversion rates. Start a blog and write guest blog posts for other blogging platforms. Starting a blog can be a fantastic way to increase your organic rankings on Google (be sure to include lots of keywords). It can also be a great tool for providing free advice and resources for your students which will increase their customer experience and keep them coming back to you for more lessons, AND referring you to friends and family. Plus, the more value you offer your students, the more you can charge for your services! If you’re a vocal coach, you could write blog posts on the best warm up practices, or maintaing vocal health. Make sure to share all your blog posts on social media and in the Facebook groups relevant to your niche. All of these tips you can action straight away and use repeatedly to increase your web prescence, making you much easier to find in the great world wide web! For more actionable advice and personalised guidance, take a look at the Ask Harriette Members Club and join the VIP waiting list here.